Seattle August 24, 2016 – Going international is undoubtedly the focus for many eCommerce retailers today. The prospect of expanding beyond borders and capturing international volume appeals to the fast-growing eCommerce industry. Borderlinx has been helping retailers break into the thriving cross-border market by providing their international customers with extremely competitive international shipping prices, a guaranteed total landed cost and full compliance with local customs through its Go.Borderlinx? platform. Now retailers have even more options to understand and analyze their international growth with Borderlinx’s Extranet Dashboard, a tool that empowers eCommerce retailers with real-time performance metrics regarding their cross-border activity. The dashboard allows retailers to monitor multiple data points in real-time and export any report in an Excel or CSV format for further analysis. Order performance metrics: detailed information concerning shipment dates, delivery dates, transit times, status and more. Country performance metrics: detailed information about service coverage, lane volume and delivery interruptions among other defined metrics. Billing currency and associated exchange rate for every shipment. Weight and dimensions measured by the carrier as it relates to international volumetric calculations. Tax and duty charges by shipment. Shipping-related fees including fuel surcharge and transactional fees. 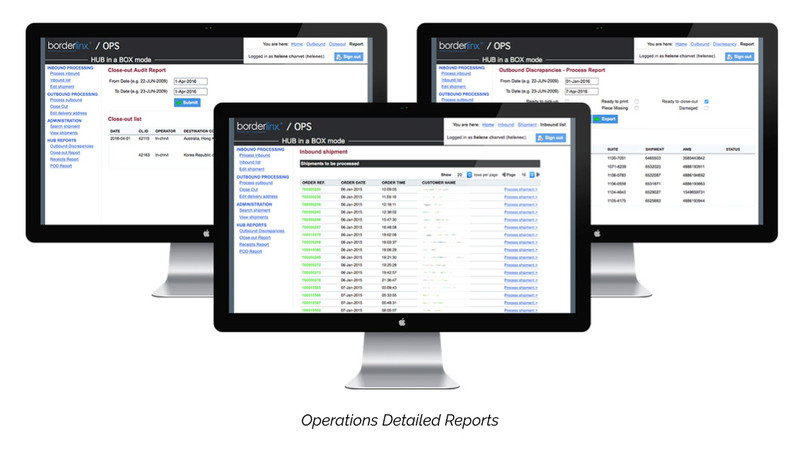 Additionally, an operations team can access detailed operational reporting and full order history in the Go.Borderlinx? Ops extranet. At Borderlinx, we have a history of leadership and innovation in cross-border eCommerce solutions for retailers. We understand the complexities associated with international commerce and how they affect cost structure for retailers. Request a demo to learn more about the Go.Borderlinx? Extranet Dashboard. Interested in going global? Use the Borderlinx International Shipping Calculator for a free estimate of the total cost to ship your product internationally. Borderlinx, a global eCommerce solution provider, empowers retailers looking to reach new markets abroad by leveraging Go.Borderlinx?, a SaaS (software as a service). With a single integration, retailers can provide international shoppers with a guaranteed total landed cost and full compliance with local customs. This creates a seamless shopping experience that reduces cart abandonment and international returns while increasing repeat customers. Retailers can be confident when shipping cross-border with Borderlinx’s real-time customs compliance support and flexible fulfillment and logistics options. Learn more about how Borderlinx can take your online business global at go.borderlinx.com.